I spend a lot of time suggesting ways to support preschool children to guarantee that they will have joyful school lives and do well when they enter formal schooling. Discuss events of daily life with children. Language is the primary key to success. They must learn to ask questions, share their perspectives and understanding, and participate in conversations about their experiences. Play, sing or dance with children. Social play of any kind will prepare children for collaboration and cooperation. Encourage kids’ curiosity and interests, their questions, their child-like observations. Take children along on errands, explaining what you see, and do and encouraging their questions. Give kids personal eye-to-eye attention often. Fill your home with printed or digital books, owned or borrowed from the library. Relax, read with children, and talk about what’s in books. You’ll note that pretty much everything that leads to school success is about language growth, and individual and cooperative problem solving. 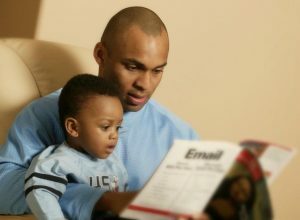 Children learn their mother tongue and how to use it to communicate their needs by talking and playing around the home. The more fluent and expressive talk children hear, the better. The more they are listened to, the better for developing effective communication that will pave the way for success in school. Research makes clear another point that nearly guarantees schools success—having books in the home. The very best thing parents can do to make sure their child succeeds in school is to fill their home with books about characters and situations that their children can relate to. Next, they need to read those books to or with their children from birth on, talk with them about what is read, and relax and have fun. 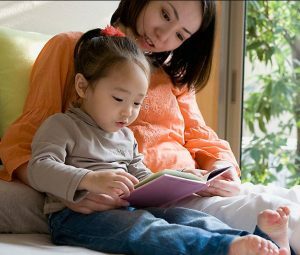 Parents who read to children, to discuss what they are reading together, to ask and answer questions about the stories or the ideas in books are setting their kids up for an advanced learning experience. All parents want to raise their children the best they can, but some, especially new parents, need support. That’s where we as family, friends, neighbors and community members come in. Without being preachy or judgmental, we can show them how to respond to kids’ inquiries. We can gently offer support and counsel. We can provide them with genuine moral and emotional support for doing their best every day to become parents of children who can’t wait to get to school and who will thrive when they arrive there. This is how to Unite for Literacy and for school success. ← Cultural Clash or Embrace?